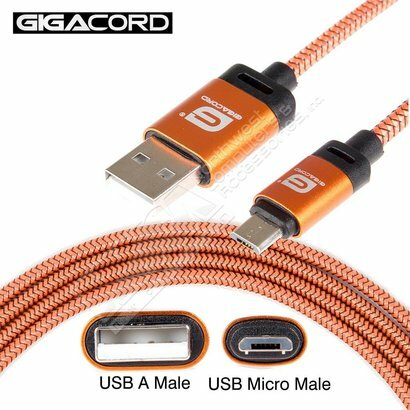 Gigacord BlackARMOR2 Samsung USB Micro 5-pin Charge/Sync Cable w/Strain Relief, Nylon Braiding, Tapered Aluminum Connector, Lifetime Warranty, Orange (3 - 10ft.) - NWCA Inc.
Micro USB Charge & Sync Compatibility: Micro USB connectivity makes for a variety of compatible devices such as Android / Samsung smartphones, tablets and other various peripherals equipped with a Micro USB connection. 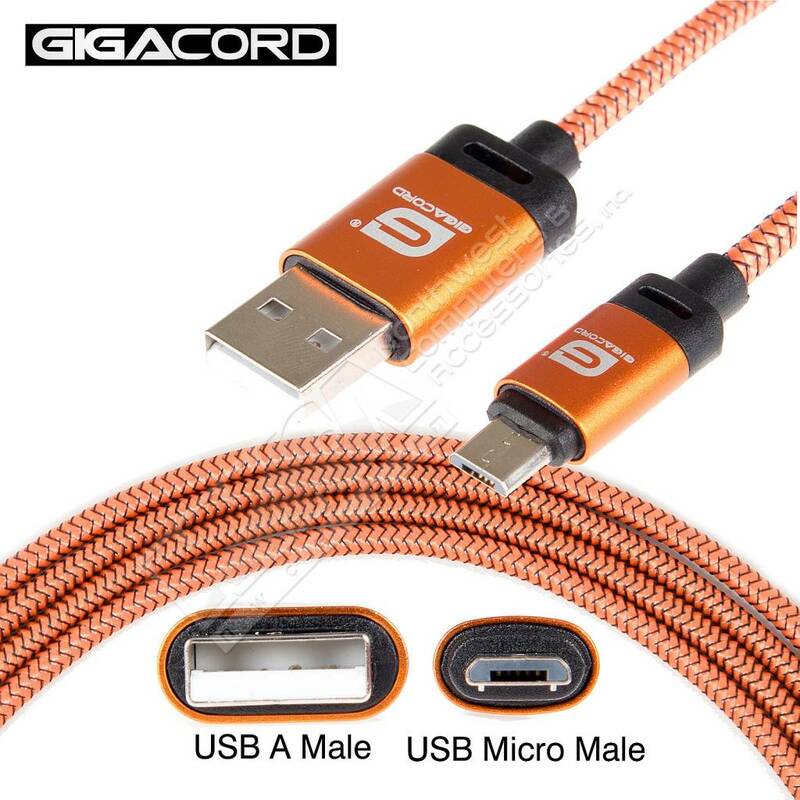 The Gigacord BlackARMOR2 cables ensure a lifetime connection for fast charging and high data syncing capabilities for almost any device. Durable Nylon Braiding: Sturdy nylon snakeskin braiding guarantees Gigacord BlackARMOR2 cables for life enabling over 4000+ bends. The durable nylon braiding is also snag and tangle free for peace of mind when storing. Tapered Aluminum Connectors: Tapered connectors fit cases of all types with ease. Thick cases are no match for our BlackARMOR2 cables! The aluminum construction also provides durability for a solid connection every time. High-Quality Copper Wiring: High-quality copper wire maximizes signal quality and increases durability. Insulation and a solid PVC outer jacket also provide another layer of protection.